You could easily spend an entire New Zealand honeymoon slumbering in a private villa overlooking vineyards or footsteps from a sandy, swimmable beach. Not us. We drove the South Island for two weeks in an attempt to bypass the crowds in a 100,000-square-mile country that saw more than 3.5 million tourists in 2017. The secret’s out: This Pacific island is nothing but jaw-dropping beauty at every turn. The smaller, more populated North Island is the land of painstakingly preserved indigenous Maori culture, geothermal activity, Lord of the Rings sets and endless coastline. The South Island is the bigger, wilder sister, a craggy tangle of glaciers, fiords, and lakes, with the Southern Alps stretching almost its entire length. Between the two, there’s more natural splendor than you can possibly behold in a few short weeks. Driving on the left side of the narrow, two-lane roads takes added time, and spending an entire trip in a car isn’t exactly marital bliss. Focus your attention on a few areas. We opted outside, starting in Queenstown, a thrill-seeker’s paradise in the Otago region with bungee jumping, jet boat rides, skydiving, and winter skiing. There’s a sky-high gondola “experience,” but the (free!) 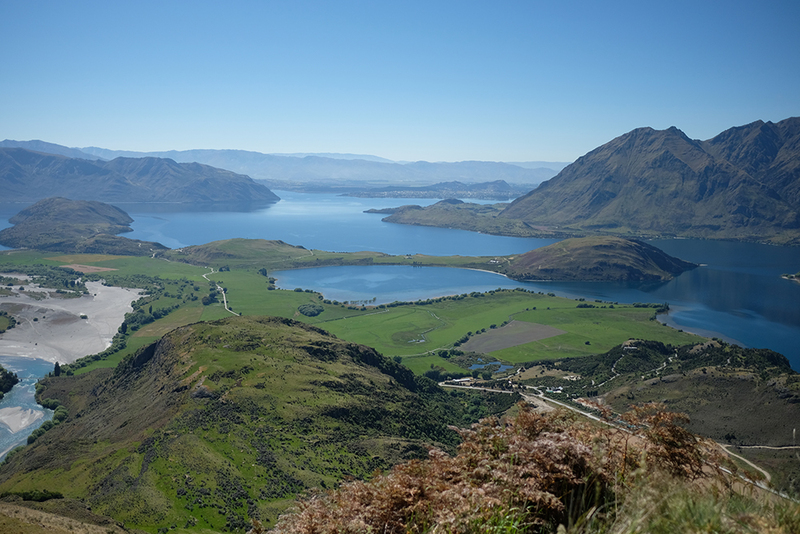 2.6-mile Queenstown Hill Hike through pine-scented forests rewards you with a higher vantage point and sweeping views of the city, Lake Wakatipu, and the aptly named Remarkables mountain range. 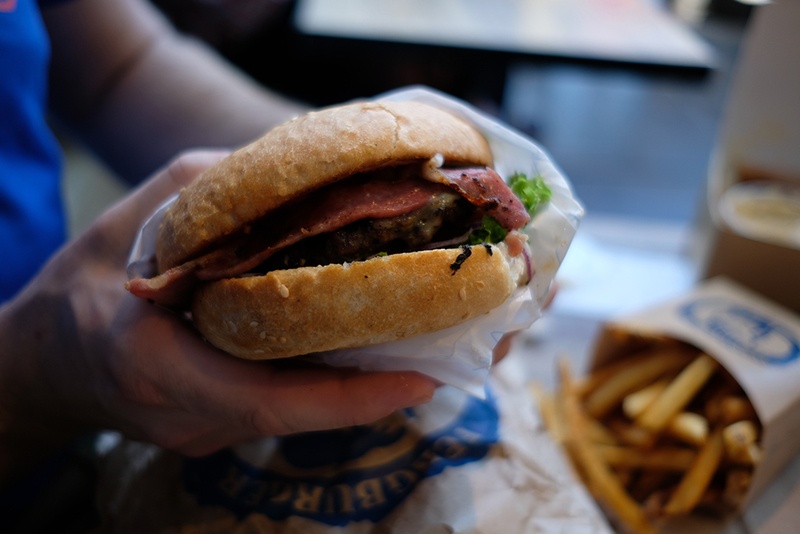 Besides, it’s necessary to work up an appetite for a fist-sized beef, lamb, or deer burger at Fergburger. For the same alpine aesthetic and fewer sightseers, drive an hour northeast to Wanaka. Nearby is Mount Aspiring National Park, with the popular Roys Peak Track and less-traveled Rocky Mountain Summit Track. 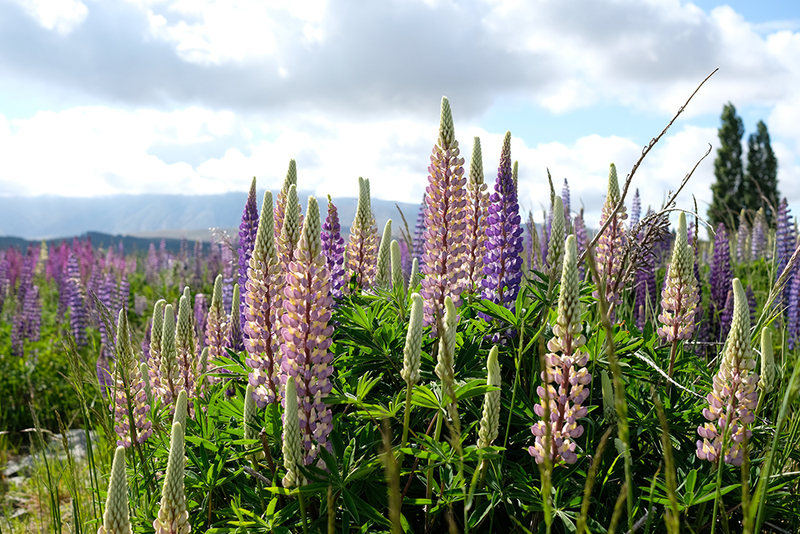 Come early summer (mid-November to late December), wild lupine blooms en masse on the route to Lake Tekapo, a sleepy village farther northeast. Technically a non-native, invasive species, its flower spikes flood the landscape in swaths of purple, pink, blue, and yellow. The area’s part of the Aoraki Mackenzie International Dark Sky Reserve, where strict controls on light pollution make for out-of-this-world stargazing. Absolutely splurge on the Mt. John Observatory tour. Burger at Fergburger in Queenstown. To the south, Fiordland National Park contains three of New Zealand’s nine “Great Walks,” multi-day treks through backcountry managed by the Department of Conservation. On a budget and not wanting to shell out for a guided hike with all the amenities, we booked communal, barebones huts along the Milford Track through the park system. Be warned: Bunks are limited and reservations fill up faster than the water plummets down the peaks we passed as we tramped 33 miles over four days. Trails meander between dense, native bush and vast, open valleys, and after a slog up and down Mackinnon Pass (3,786 feet), the trail ends in what Rudyard Kipling once called the eighth wonder of the world, Milford Sound. More accurately, it’s a fiord formed by glaciers 400 million years ago. Steep cliffs plunge into the inky waters of the Tasman Sea inlet as waterfalls rush down their sides and New Zealand fur seals sunbathe on the rocks below. 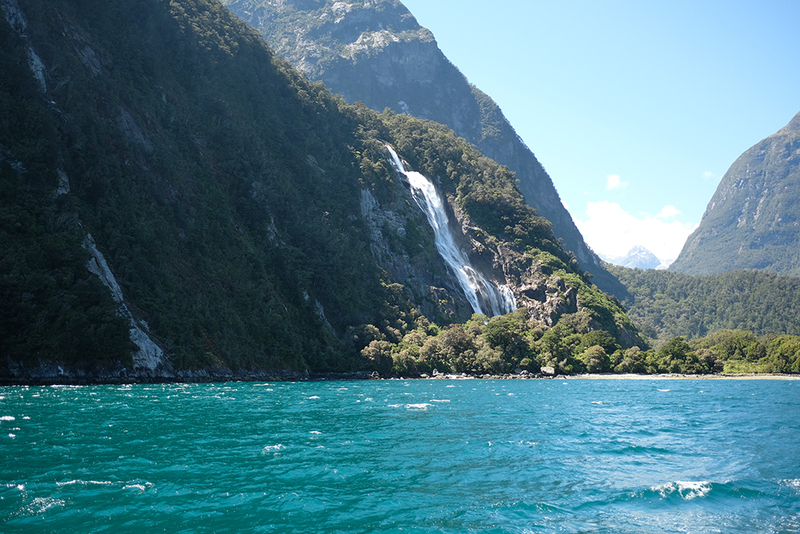 Get a closer look by ferry or kayak, and sample the local wild Fiordland venison at Milford Sound Lodge’s Pio Pio Café. More off the grid is the 9,000-square-mile West Coast. Population as of 2017 was 32,400. The road from Haast to Westport, particularly the last 63 miles, or the Great Coast Road, tightly hugs the coastline to spectacular effect. Get a place with a kitchen, grab some groceries (ask about brill, a delicate, sweet-fleshed flounder only found here), and bask in the total remoteness.